At the end of July Pam sent out an email asking for volunteers to attend "Do What Matters!". A two day training on faith formation for a new age. It would take place October 1,2 at First Presbyterian Church in Iowa City. The group that puts on the training is Vibrant Faith and this is how they introduced what is entailed in "Do What Matters". The approaches we've used in the past are no longer adequate in today's digital, individualized, highly secularized culture... The new efforts covered in this training will help your congregation create authentic Christian community that beckons persons of all ages- children, youth, adults- into an exciting journey of both faith and religious practice". I decided to volunteer my time, selfishly, to see if I could gain more insight into my own faith journey, and that of my family. I gained a lot personally and as a member representing Gloria Dei. We (myself, Pam and David Larabee-Zierath) spent time together discussing opportunities for Gloria Dei to increase faith formation among all ages and we also spent time with members from other churches (Mennonite, Presbyterian, and Catholic) attending the training. Here is a little excerpt of what I learned. I learned relationships do matter. We need to develop our spiritual relationships. The research Vibrant Faith shared with us shows that churches need to focus not only on the younger members of their church (i.e. traditional age based Sunday School classes), but also the young adults and the parents of these children in Sunday School. In fact they would say the most important group that needs faith formation are the adults. It is a trickle down effect: Adults-> Youth->Children. We need to build intentional, authentic and organic relationships. How do we do this? Here are a few suggestions from "Do What Matters"
How can we make the above occur at Gloria Dei? We are already doing a lot of this at Gloria Dei. I have always felt that Gloria Dei is a welcoming and hospitable community. We do a lot of relationship building at Gloria Dei. 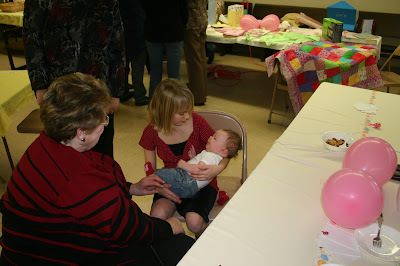 We have tried some intergenerational relationship building through social events. We encourage and involve all ages in participation in our worship. Here are a few suggestions on how to make it even better. Another big topic during our two day training was the "digital revolution". Facebook, website, blog post, twitter, instagram, snapchat. These all can be a tool, a place and a setting for faith formation. We can put the "social" in "social media". It is a way to further build relationships, let people know what is happening at Gloria Dei via technology. Gloria Dei has recently undergone an updating of our website, and facebook is used frequently to communicate not only social events at Gloria Dei, but discuss different aspects of faith. We need to continue using these tools, and setting as a way to further increase our faith formation. Lastly the biggest take home for me personally over the two days was "Faith formation will fail if it doesn't occur at home". So how do I and other members at Gloria Dei encourage faith formation to occur at home? I'm excited about all that is in store for Gloria Dei in their faith formation journey. I give thanks to Gloria Dei, Pam and David for inviting me to be a part of this training as I know it has made an impact on both my life as a Gloria Dei member and my family faith formation.